The most interesting thing Forbes Magazine does all year is compile rich lists. For example, in April, they crowned Carlos Slim as the world’s richest man. Now, they turn their sights inward, on America, and have crowned America’s richest man. Unsurprisingly, America’s richest man is Bill Gates, because no matter how much money he gives away, there’s always more of it coming in. Gates is worth a staggering $54 billion dollars, easily outpacing Warren Buffet’s $45 million bucks in net worth. The youngest people on the list, not surprisingly, are related to Facebook. Mark Zuckerberg was 35th on the list with $6.9 billion dollars in assets (at 26) and his fellow facebook founder Dustin Moskovitz (also 26, but slightly younger than Zuckerberg) was worth $1.4 billion, tying him for 290th out of 400. 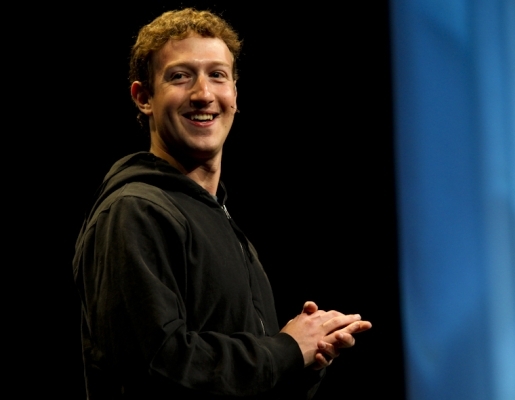 Zuckerberg’s net worth skyrocketed a staggering 245 percent, the largest increase of anyone on the list. I don’t care if Zuckerberg is giving away $100 million dollars to Newark, New Jersey’s public school system, I don’t like this guy (unless he gives me some money).